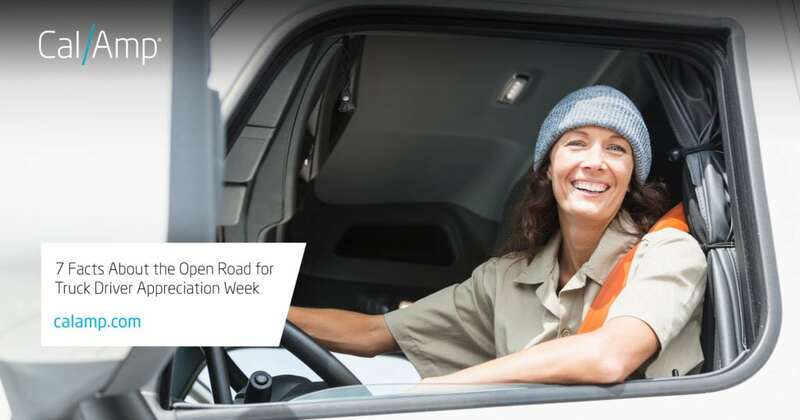 Truck drivers are an important part of the connected economy. Most of the goods that you own or buy were carried or delivered by a truck. If it were not for these stalwart modern riders of the open road, the day-to-day operations of commerce would grind to a halt. Technology helps keep drivers and their shipments connected in-transit for better monitoring of shipment conditions, vehicle health and more. The data also provides important information and alerts to keep drivers safe when going from origin to destination. Seventy-one percent (71%) of U.S. freight by weight travels on trucks1. These loads represent over 10 billion tons of freight annually, hauled by over 3.5 million drivers. Did you know that there are three types of commercial driver’s licenses (CDL)? This is why semi drivers are “Class A” in everyone’s book. Despite the discussion around a shortage of new drivers, the Department of Transportation registers more than 40,000 commercial driver’s licenses per month. Moreover, there is a beta program in place to permit veterans under the age of 21 to drive interstate trips. There are eight (8) Federal Highway Administration commercial vehicle classes, with 3.63 million Class 8 trucks in operation as of 20151. Of those, there are approximately 350,000 owner-operators in the U.S. In a country with over 200 million cars, 3 million trucks might not seem like a lot—but 9% of all miles traveled on U.S. highways in 2015 were driven by commercial trucks2. Truck drivers have to get all this done efficiently, as they are limited to 70 hours on duty driving in any eight (8) consecutive days3. 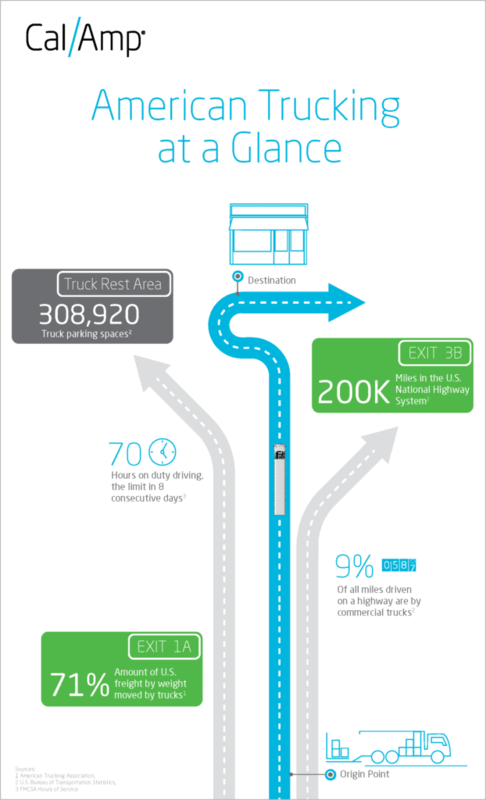 And, there are only 308,920 truck parking spaces in the U.S., meaning that truckers often have to search for a safe rest area. However, some companies are creating mobile apps to help truckers locate an open spot close to their location. GPS and other location-based technology, such as Esri, assist with not only finding parking spaces but also planning routes and analyzing various road conditions from construction zones to weather. Telematics monitors truck utilization to help minimize breakdowns, while smart sensors and devices log the environmental conditions of the shipments for quality maintenance. The result is an integrated system to protect cargo and those that transport it. View our infographic below for a summary of this information that highlights how vital America’s truck drivers are to the U.S economy.